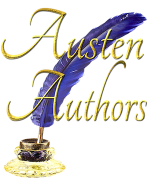 Visit My Jane Austen Book Club for my guest post about Mr. Collins and why he’s so hard for JAFF writers to redeem. There’s also an excerpt from Mr. Darcy to the Rescue and a giveaway of an ebook or paperback copy! ← Mr. Darcy to the Rescue Now Available on Amazon and Smashwords!!! !